India are set to play Test debutants Afghanistan in the only test starting from Thursday in Bengaluru. Team India go into this game as the favorites. 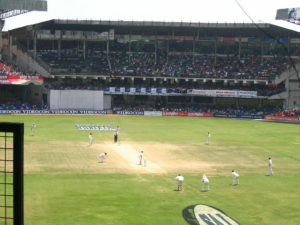 India will be playing international cricket after a break of nearly three months. They last played the Nidahas trophy in March, the T20I tournament. But will need to get along well quickly as a new series beckons. India doesn’t need to worry much about their opponents as it will be the newly promoted Test side in Afghanistan. Although they should avoid being complacent as the Afghanis have got a strong bowling line-up having the likes of Rashid Khan. On the other hand, Afghanistan will be overjoyed with the fact that they have become a full member of the ICC and can play Test cricket. They have the talent no doubt but will need to prove themselves at the biggest stage. Their opponents India are the number 1 ranked Test side in the world and to beat them at their own backyard takes some doing. But anyways Afghanistan will be out their to gain experience from playing at such level. Asghar Stanikzai will captain Afghanistan on their Test debut against India. While Mohammad Nabi and Mujeeb Ur Rahman are both available and will play. As for India, Ajinkya Rahane will captain the side. Whereas Dinesh Karthik and Karun Nair are both available and will play. Afghanistan XI : Asghar Stanikzai (C), Ihsanullah, J. Ahmadi, R. Shah, N. Jamal, A. Zazai (WK), Nabi, R. Khan, Rahman, Shirzad, Ahmadzai. India XI : Rahane (C), M. Vijay, Dhawan, Pujara, Nair, D. Karthik (WK), Ashwin, R. Jadeja, K. Yadav, U. Yadav, I. Sharma. I expect India to win this Test match comfortably.